Many people prefer above ground entombment burial to traditional ground burial. Mausoleum crypts offer a clean, dry location for those with an aversion to ground burial. Happy Valley Memorial Park offers private mausoleums, whether you are choosing one for yourself or for your entire family. We also offer a community mausoleum with crypts designed for single interment or companion interment for you and your loved one. 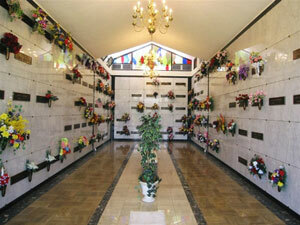 In choosing a mausoleum, whether private or community, you are choosing convenience. A mausoleum replaces the need for a separate outer burial container as well as a separate memorial, saving you time, hassle and additional expense.